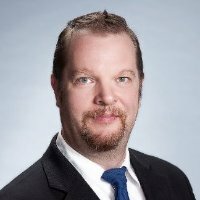 Dr. Jaakko Juntunen has been appointed as the Sales Director at Optenni Ltd. Jaakko has a PhD in radio engineering, and he has been working in the EDA industry since 2001. His past positions include customer service manager at APLAC Solutions, sales manager at AWR Corp, and most recently, senior EM Specialist at AWR Corp. We are happy to welcome Jaakko to the Optenni team. “I am very excited about the opportunity to contribute to the future success of Optenni”, says Jaakko. “Optenni Lab has important capabilities that are not found anywhere else in the EDA tool market. Antenna systems are getting increasingly complex, and so are the design challenges. We intend to stay at the forefront of the development, and provide always the best synthesis solutions to our customers' design challenges”, he summarizes the Optenni mission. 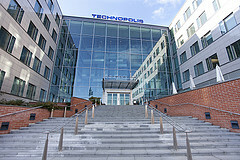 Optenni Ltd has moved to new premises in the Innopoli 2 business park in Otaniemi, Espoo. Otaniemi has Northern Europe's biggest concentration of high technology activities, including universities, research institutes and companies ranging from small startups to large multinational corporations. We are happy to be part of this vibrant ecosystem. Please let us know at info@optenni.com if you have any feedback or questions about Optenni Lab or if you would like to suggest additional functionalities to Optenni Lab. We are happy to work with you to solve your challenging impedance matching problems.